*We are not currently growing this variety, but check out Bossa Nova. Santa Cruz Sunset Begonia is similar to the Bonfire Begonia. The fire-red blooms are mingled in with the dark green wing-shaped leaves and will spill over the sides of containers or form nice mounds on the ground. There is no pruning or cleaning necessary because the old blooms fall off as new ones come on. Santa Cruz Sunset Begonias will bloom from spring until fall. If you are in a location with pretty hot summers you might make sure that your plant gets some afternoon shade to avoid burning. Begonias are not fond of sitting in water so be sure the soil drains well and that you do not over water. Height: Grows 10″ to 24″ tall. Outstanding Features: The blooms are very bright and eye catching, and the plant itself is low maintenance and drought tolerant. 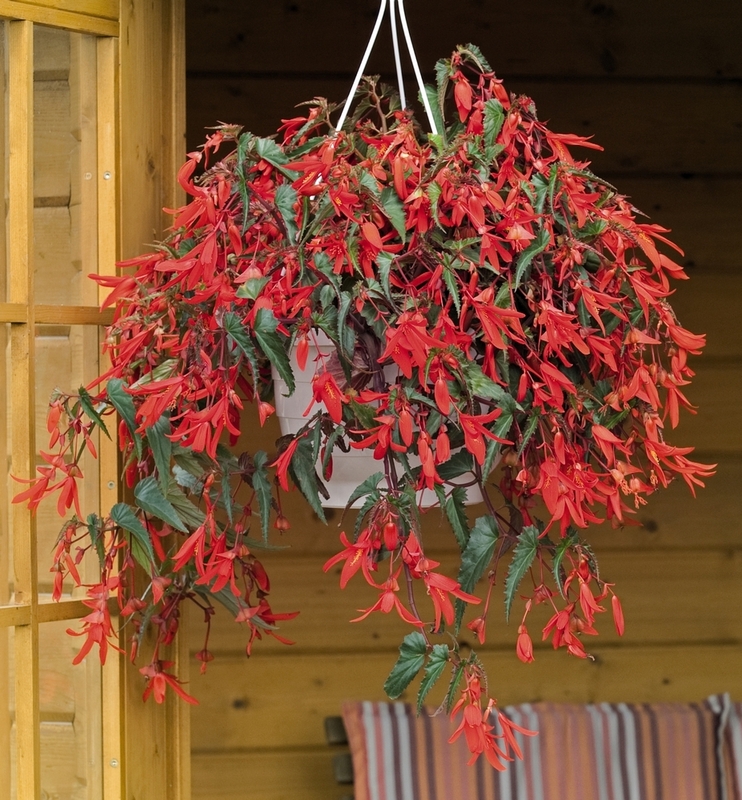 Tips: Make sure they don’t have too much shade or they will bloom less frequently and the blooms will be smaller. Water in the morning before it gets too hot to avoid scorching or a couple of hours before sunset to allow the leaves to dry and avoid mold.